Pfc. 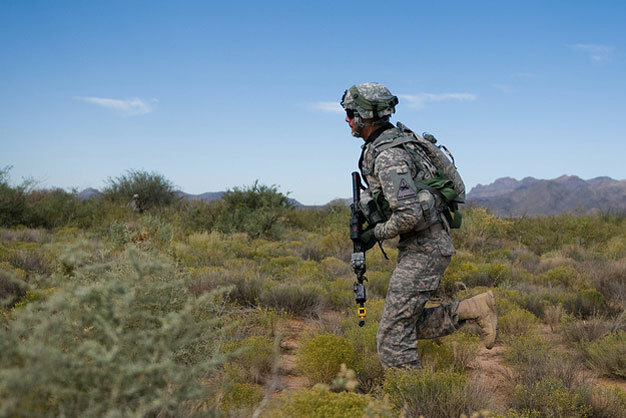 Heriberto Lozano, a scout with Troop A, 1st Squadron, 1st Cavalry Regiment, 2nd Brigade Combat Team, 1st Armored Division, runs back to his base camp after conducting training on dismounted patrol and reconnaissance operations at Doña Ana Range Complex, New Mexico, Oct. 16, 2012. US Army photo.